Introduction: Anvita Royal Grande Apartments, aims to enrich lives by setting new standards for customer centricity, architectural design, quality, and safety. These Residential Apartments in Kochi comes with a view that is unbounded and captivating. Every nook and corner of the Anvita Royal Grande reflects beauty in its true sense. Anvita Royal Grande by Anvita Builders Pvt Ltd. in Edappally ensures privacy and exclusivity to its residents. The ambiance of Anvita Royal Grande is truly a marvelous sight to behold. 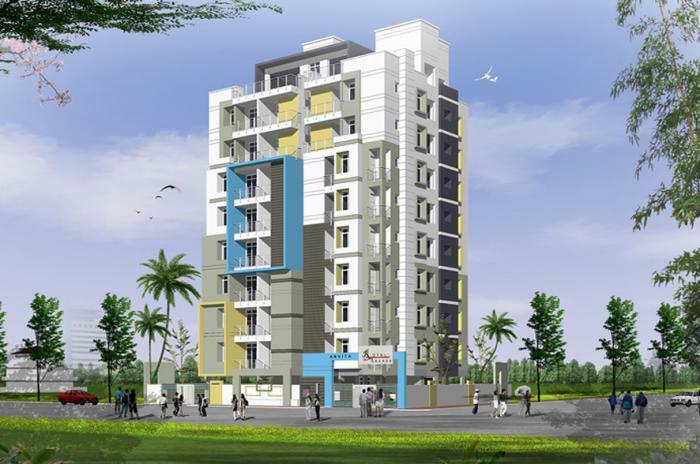 Anvita Royal Grande is one of the best investments in Residential properties in Kochi. The Apartments in Anvita Royal Grande are strategically constructed keeping in mind the best of architecture both from inside as well as outside. From stylish flooring to spacious balconies, standard kitchen size and high-quality fixtures, every little detail here gives it an magnetic look. Anvita Royal Grande offers beautiful 2 BHK and 3 BHK Apartments in Kochi. The price of Apartments in Edappally is ideal for the home-buyers looking for a property in Kochi. Amenities: Anvita Royal Grande comprises of a wide array of amenities that include Drainage and Sewage Treatment, Rain Water Harvesting, Fire Safety, 24Hr Backup Electricity, Landscaped Garden and Play Area. Location Advantage: The address of Anvita Royal Grande is well suited for the ones who wants to enjoy a contemporary lifestyle with all the nearby major utilities like schools, colleges, hospitals,supermarts, parks and recreational centers. Anvita Builders Pvt Ltd, has been in the real estate and construction business in Karnataka since 1985. It has also been engaged in infrastructure development in public as well as in private sectors. During the short span of last five years alone, it has completed many residential projects in Cochin.Each of its project meets the quality of top - notch specifications, exemplary quality of finish, impeccable title and committed completion deadlines and more importantly its affordability to common man.Anvita always uphold the value of our tradition and culture. Its innovative design philosophy aims to combine the quality of construction as well as in understanding the budgetary and lifestyle needs of its client and delivering them impeccably.We are firmly committed to carry forward the long legacy and rededicate ourselves to the service of our customers. Internal : Wall putty and painted with acrylic emulsion paint of premium brand. Vitrified tile for entire apartment and common area. Anti-skid Ceramic tile flooring and dado for toilets. Cooking platform will be polished granites slab with stainless steel sink & 60cm high glazed tile dadoing for wall above cooking platform. Concealed plumbing with PVC Pipe , Sanitary ware and CP fittings made of Jaguar/Cera or equaland brand. Concealed PVC insulated wiring, Standard quality of modular switches made of Hawells/Finolex or Equaland. Points in all bed rooms. Fully automatic elevator made of Johnson/Otis or equivalent. Ask from 1 other people who enquired about Anvita Royal Grande. Review of Anvita Royal Grande, Edapally? Its price, location, builder etc. Review of Anvita Builders, Edapally? construction quality, trustworthy, delivery history etc.? Review of Anvita Royal Grande, Edapally location? neighbourhood, connectivity, schools etc.? Comparison of Anvita Royal Grande, Edapally to nearby projects? Is it rightly priced? What is your feedback on this Anvita Royal Grande, Edapally? Depends on brand name and complete the project in time etc? Will this be a better option for investment or to live in Anvita Royal Grande, Edapally? Can you give some suggestion? Is the Anvita Royal Grande, Edapally has more potential in terms of capital appreciation, ROI, Rentals, Proximity to social infrastructure etc?